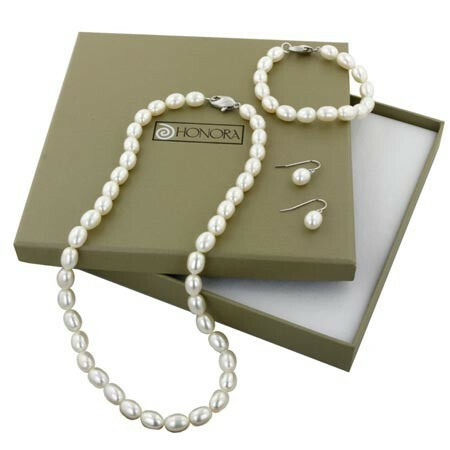 A trio of elegance and beauty is tucked away in this gift set from Honora's Box Sets collection. A medley of white freshwater pearls culminate into the form of a necklace, bracelet, and pair of earrings for an irresistible offer. Don't miss out today!